Caring.com has helped thousands of families find high-quality senior care. To speak with one of our Family Advisors about memory care options and costs in Panama City, call (855) 863-8283. Because nearly one in 40 people of all ages has Alzheimer’s disease in Florida, Panama City offers various memory care facilities to serve those with any form of dementia. Panama City's 18 percent senior population can choose from five memory care facilities, known as Assisted Living Facilities (ALFs). Family members can rest assured each memory care facility must have staff trained by a state-approved educator in order to serve those with Alzheimer's. Families of those seeking memory care in Panama City should be aware of the tax breaks throughout Florida, which might make a difference for those on a budget. Florida is considered a retirement tax-friendly state and does not tax retirement benefits such as Social Security, pension income and income from an IRA or a 401(k). The cost of living in Panama City is approximately equal to the average cost of living throughout the United States. Families and seniors in the area will find health care costs equivalent in Panama City to the average health care costs across the nation. Panama City is home to world-class medical facilities, including Bay Medical Sacred Heart Hospital and Gulf Coast Regional Medical Center, in the event of medical emergencies or illness. Air quality is determined by the EPA by counting the number of harmful air pollutants in each city's air. Because the air quality in Panama City is nearly 12 percent better than the average across the United States, seniors with respiratory conditions might find relief here. Temperatures in Panama City range from 40 degrees in the winter to 90 degrees in the summer and an average of 60 inches of rain and no snow experienced annually. Families of loved ones seeking memory care in the area might wish to ensure facilities take precaution to keep residents inside and out of excessive heat in the summer. Memory Care costs in Panama City start around $0 per month on average, while the nationwide average cost of memory care is $4,799 per month. It’s important to note that memory care rates in Panama City and the surrounding suburbs can vary widely based on factors such as location, the level of care needed, apartment size and the types of amenities offered at each community. To see a list of free memory care resources in Panama City, please visit our Assisted Living in Florida page. 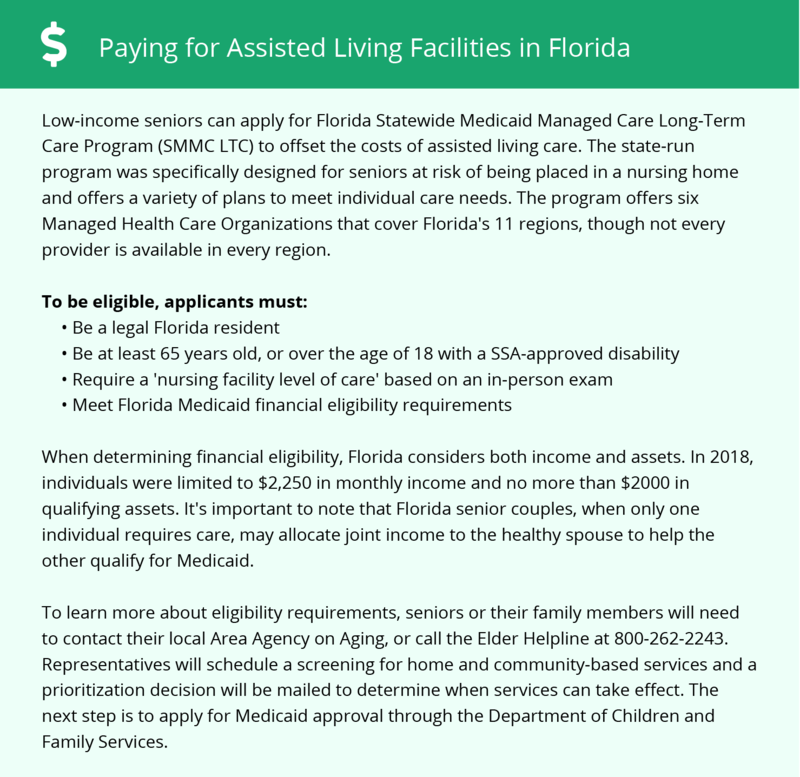 Panama City-area assisted living communities must adhere to the comprehensive set of state laws and regulations that all assisted living communities in Florida are required to follow. Visit our Memory Care in Florida page for more information about these laws.